“Natalie was our gift. Our gift from you. ​The hardest part of caring is letting go. Elizabeth and Dudley are two of the 200,000 grandparents raising their grandchildren in the UK. Caring can be one of the very hardest jobs in the world but for Elizabeth, looking after her 18 year old granddaughter Natalie with highly complex special needs and autism, is the singular most important thing she will ever do. Both Elizabeth and Dudley are battling their own declining health and, with age taking hold, a husband has to convince his wife that it is time to let Natalie go. But what is the future for Natalie? Elizabeth has to decide what is the greatest threat to her granddaughter: her growing senescence, social services or her own daughter’s intentions. 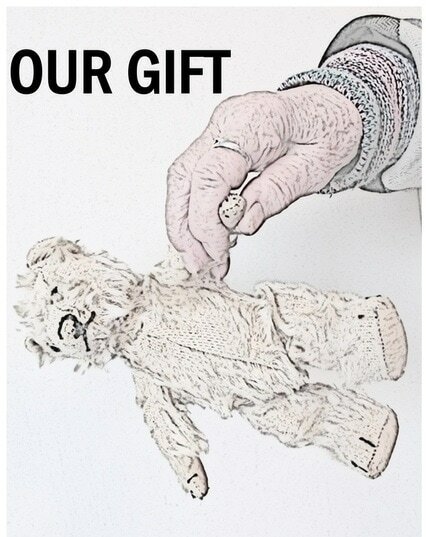 With an aging population and so many grandparents tasked today with a second parenthood, Our Gift explores with humour and sadness the turmoil facing many families today in households held together by unsung heroes: carers. Our Gift previewed as a short play in January 2014 at the Lantern Theatre, Liverpool. It was performed in venues across Liverpool in April 2016. A special performance for carers was held in June 2016 and it is now under further development.